It is a duty on a Muslim to show goodness to both parents, especially the mother. Prior to the advent of Islam, female infanticide was practiced by the Arabs. Islam not only succeeded in uprooting this evil practice by declaring it to be murder, but also ended the prevalent notion that the birth of a girl was not as auspicious as the birth of a boy. Islam teaches that the birth of any child is a great blessing. Islam does not prohibit women seeking work; indeed, in the ideal Islamic society it is necessary that women should fill certain posts. It follows therefore that women need to have the education and the training necessary to take up such important professions as teaching, medicine, and nursing. Furthermore, in Islam, learning is not simply a right of everyone; it is a duty and responsibility. 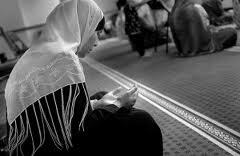 Prophet Muhammad said, "Seeking knowledge is mandatory on a Muslim male and female" (Ibn Majah). This saying of the Prophet is confirmed by the Qur'an, which says that Allah endows a higher status on those who are knowledgeable. There is no provision in Islamic law that specifies areas of education permitted to women or areas prohibited. Areas of knowledge that are mandatory for both men and women to study include fundamental Islamic beliefs, acts of worship, and moral teachings. There are certain fields that are particularly recommended for women to study so that they can equip themselves better for the role for which Allah has created them, and these are medicine, nursing, home management, health care, and child psychology. Also other fields as arts, humanities, and sciences are permitted areas of study for both men and women, so long as they are beneficial. Prohibited areas are few, and include sorcery and magic for instance. Marriage is viewed as a partnership in Islam. The Qur'an does not describe marriage as an inevitable evil, but as a blessing that God endows on people: it is a source of tranquility, peace, mutual love, and affection. Marriage in Islam requires the consent of both parties before the validity of the union is recognized. With regard to the treatment of women in general and wives in particular, Prophet Muhammad stressed on the notion of equity toward women. The Qur'an ranks compassion and kindness to parents, especially the mother, next to injunctions to worship Allah alone. Prophet Muhammad said, "Paradise is at the feet of the mother" (An-Nasa'i). It is reported that a man came to Prophet Muhammad and asked, "Who amongst all people is most worthy of my good company?" The Prophet replied, "Your mother." The man asked, "Who's next?" The Prophet said, "Your mother." The man asked again, "Who's next?" Again the Prophet said, "Your mother." Then, in reply to the same question he said, "Your father" (Al-Bukhari). So this shows the great role of the mother in one's life, and that it is a duty on a Muslim to show goodness to both parents, especially the mother. 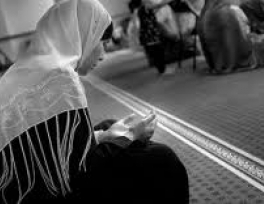 The compliance of a Muslim woman with the Islamic standards of dress and behavior should not result from pressure brought to bear by male relatives, her husband or the social norms of society, but from a genuine and sincere desire to obey Allah and please Him. In fact, many Muslim women wear the Islamic dress code in spite of opposition from husbands. Furthermore, it is incorrect to say that the Islamic dress code restricts women to wearing one particular type of clothing while for men there is no restriction whatsoever. Both men and women are required to cover, in an appropriate way, certain specified parts of their bodies, and no directions are given as to exactly what clothing is worn to achieve that level of concealment. The choice in this regard is left to the individual. The idea that Muslim women are confined to their homes is quite wrong. It is even incorrect to say that Islam prefers women to stay indoors all the time. On the contrary, it is mandatory for a woman to learn, and permissible for her to go out to work. This verse, addressed to the wives of the Prophet in particular and to all other pious women, simply advises women to stay at home if there is no good reason to go out. It suggests that it is better to stay indoors and concentrate on making a warm and happy household than to go out for no particular purpose. Dr. Jamal Badawi is a professor at Saint Mary's University in Halifax, Canada, where he currently teaches in the areas of management and religious studies. He is the author of several works on various aspects of Islam.